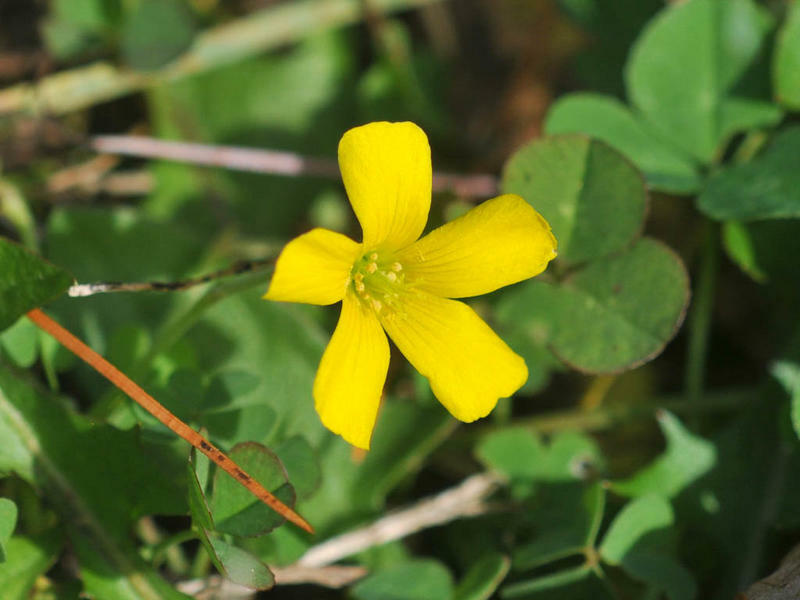 Sunny and warm but very little nectar. 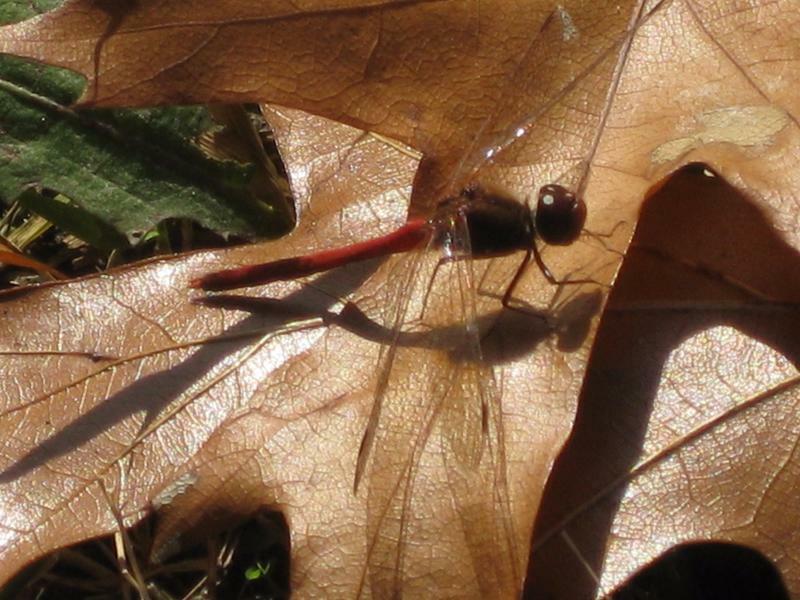 10+ Autumn Meadowhawks including two females laying eggs. 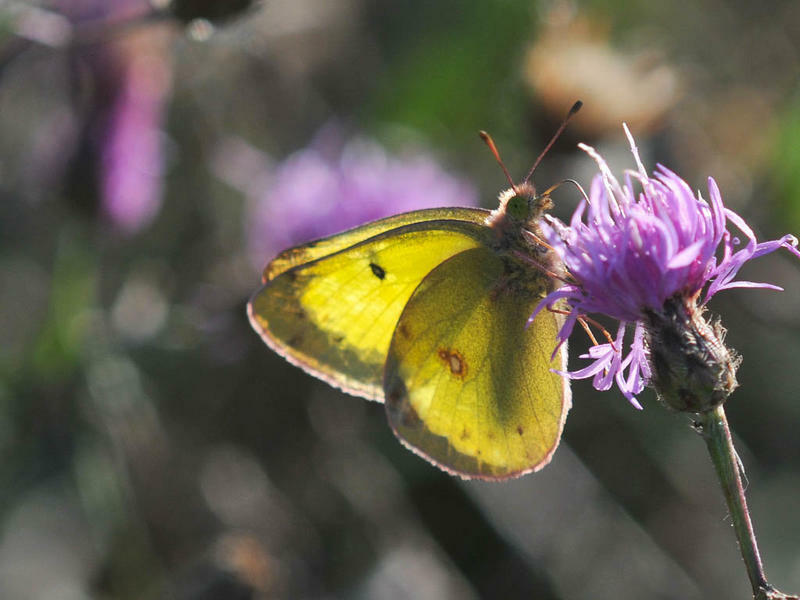 All sulphurs were nectaring on dandelion, although I waited for over 10 minutes to see if one would nectar on the wood sorrel without any luck. Sunny and 70 degrees. 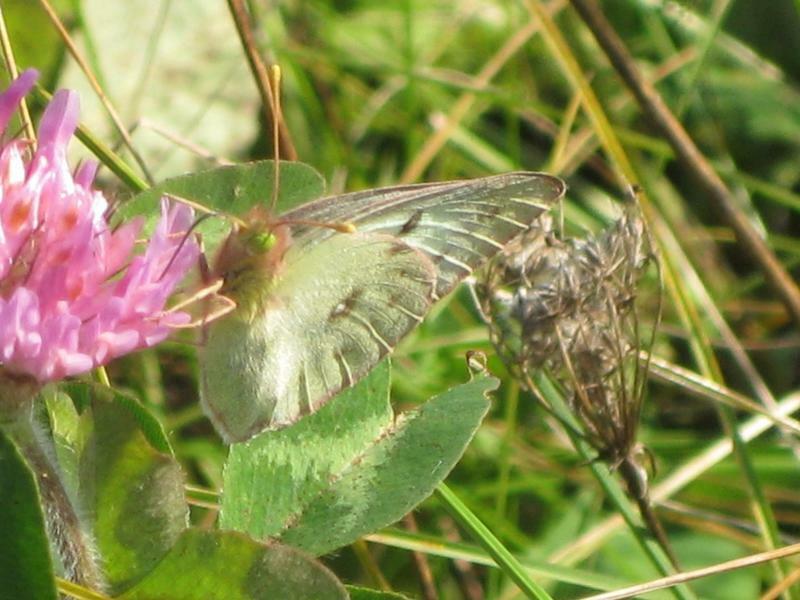 I also saw seven Autumn Meadowhawks and two white forms of orange/clouded sulphurs. 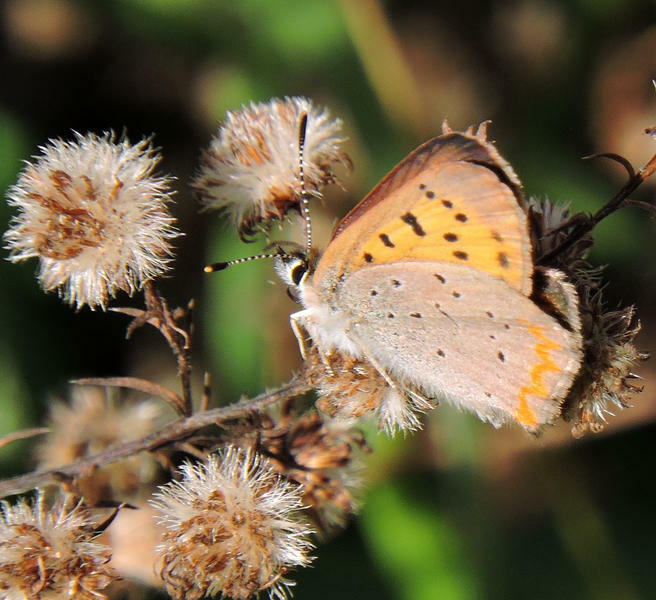 Hoping for a late Purplish Copper at my favorite late season spot. Lots of dandelions in flower, but not even as many sulphurs as I was expecting. 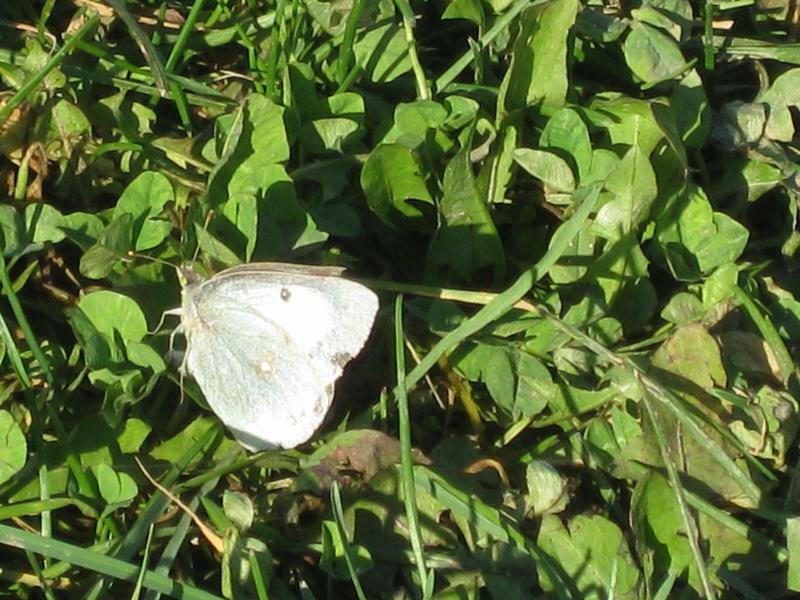 Also one white form female. Sunny and 60 degrees by noon. Location: West Bend by Rolf's Ave. 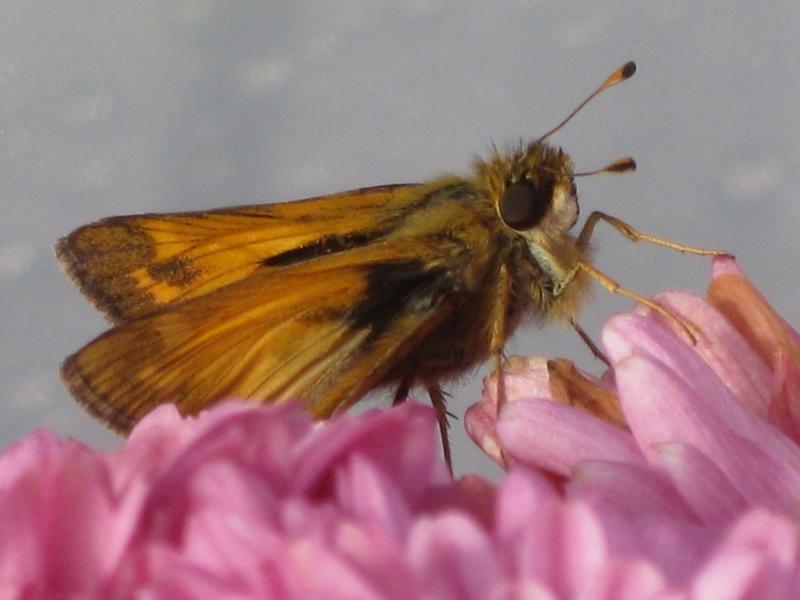 The fiery skipper was nectaring on marigolds. Low 70s. Sunny. 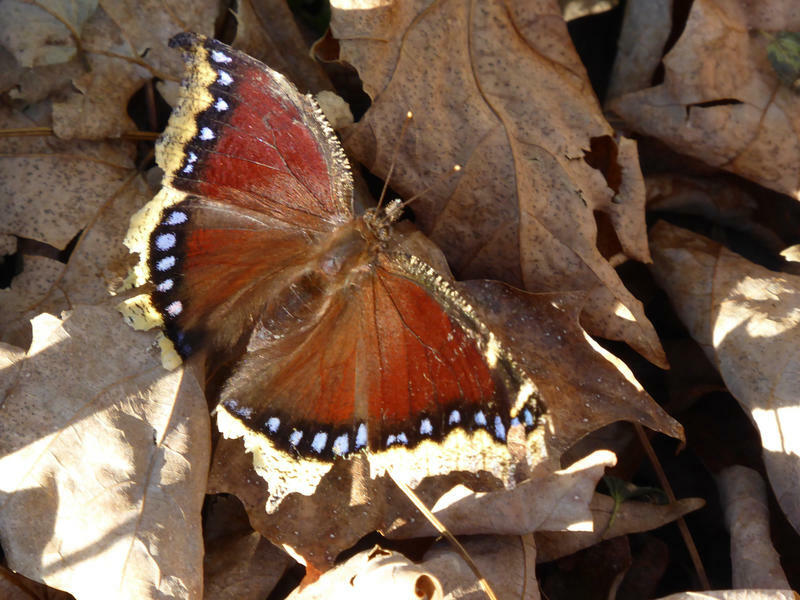 I disturbed a Mourning Cloak while raking leaves. 63 degrees and sunny. 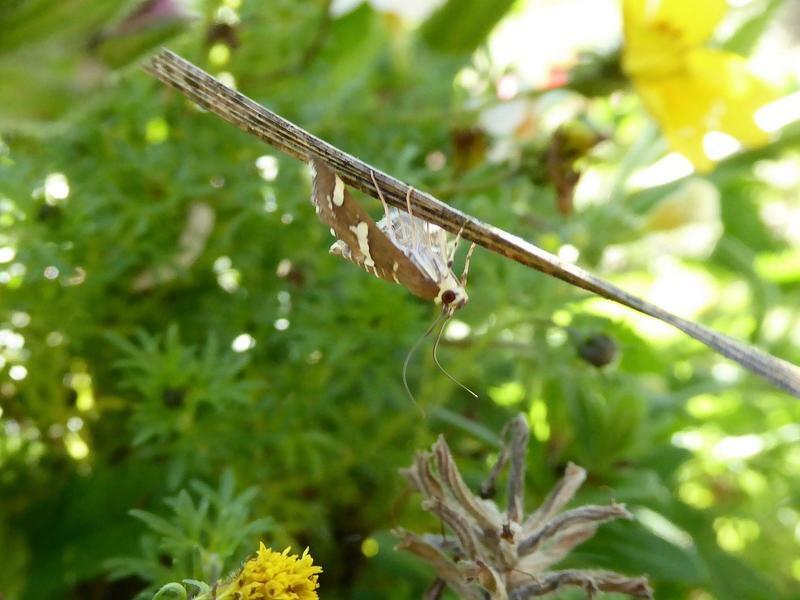 I also saw 24 Autumn Meadowhawks and one white form of a clouded/orange sulphur. Sixty and sunny. 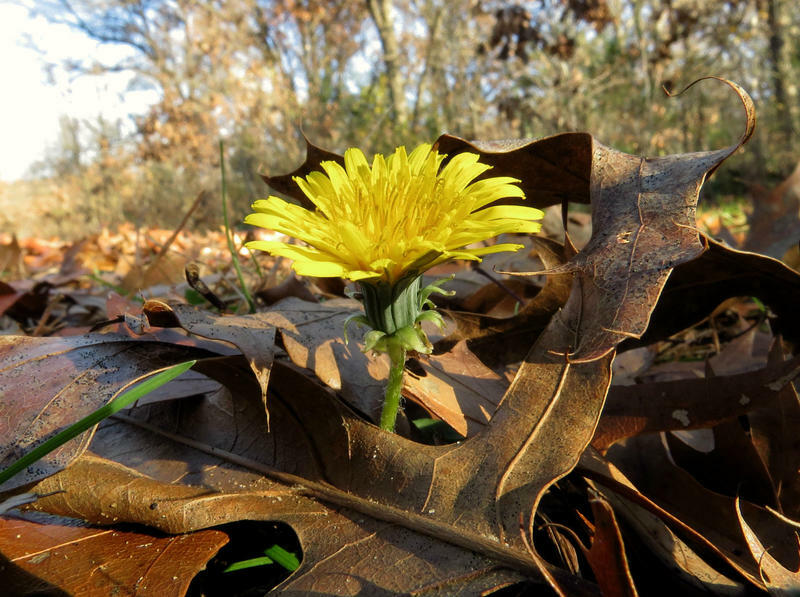 A few dandelions blooming. 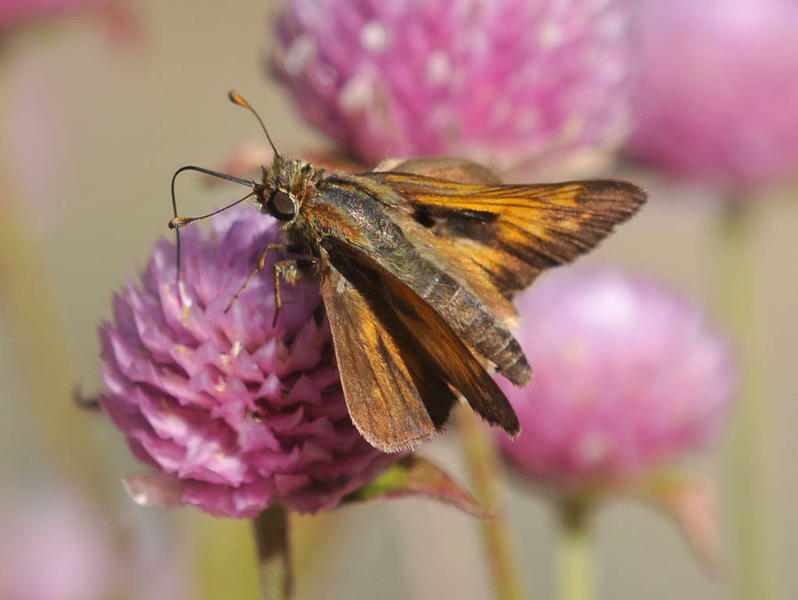 Red clover is still blooming along the roadside and the sulphurs and a skipper were active. 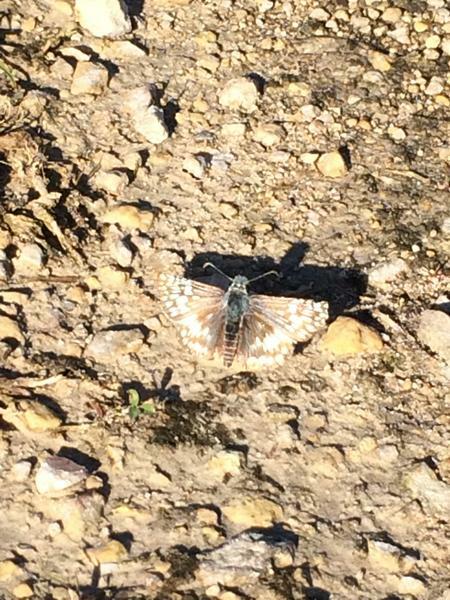 I sort of figured I'd see sulfurs, but not a Common Checkered-Skipper! 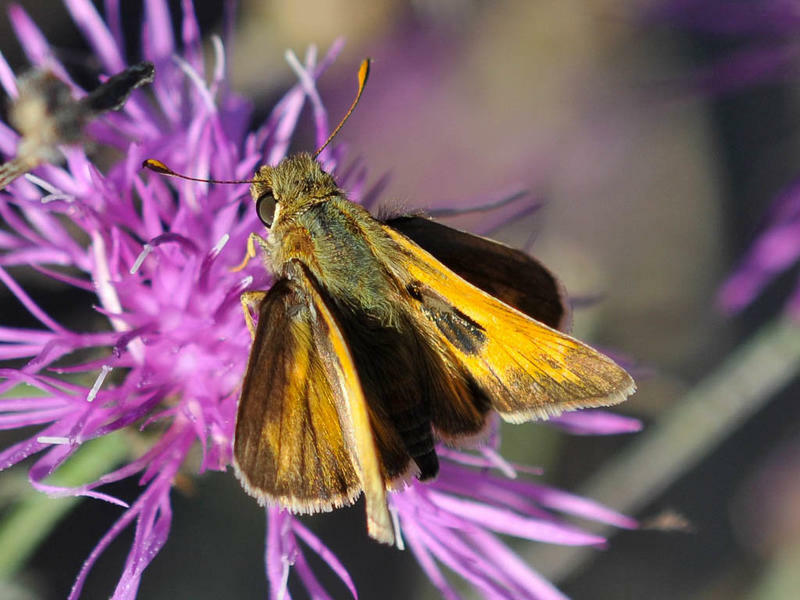 The skipper was fairly active, flying back and forth along the grassy path by the prairie, stopping to bask regularly. 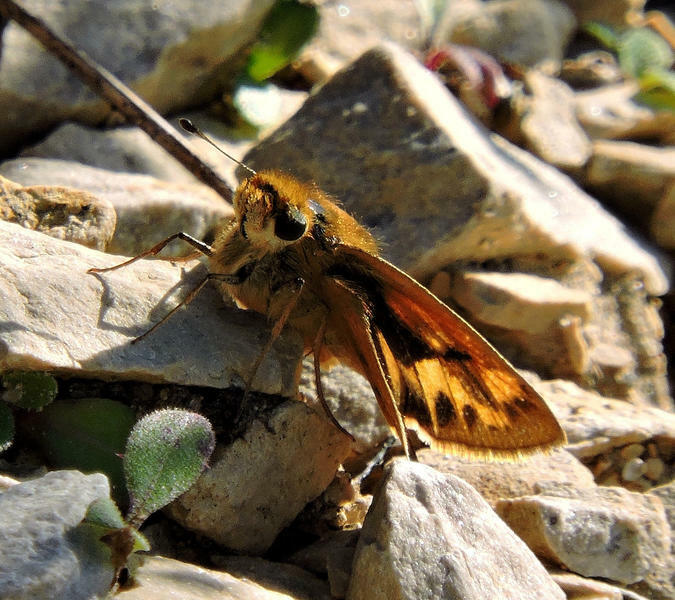 Also multitudes of Autumn Meadowhawk dragonflies and a nice flock of Rusty Blackbirds. 61 degrees and sunny. 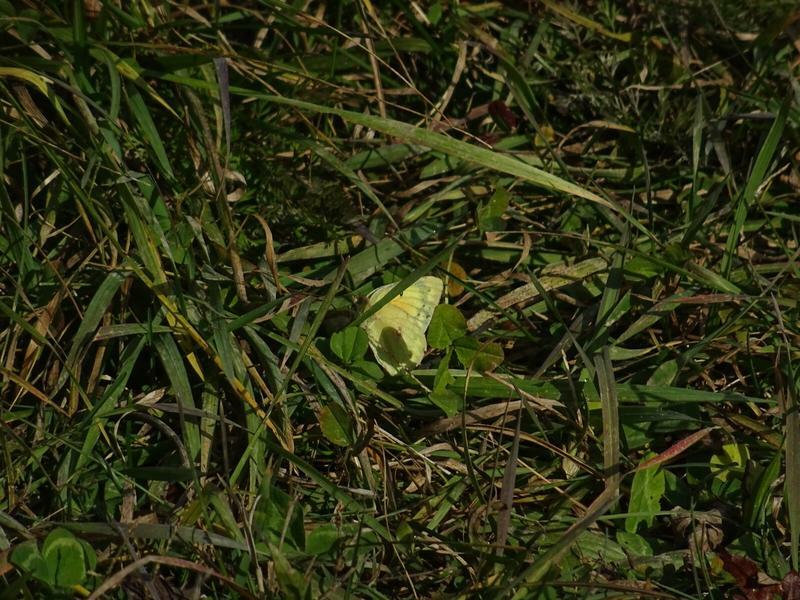 I also saw one white form of a clouded/orange sulphur and 12 Autumn Meadowhawks. 68° Sunny. 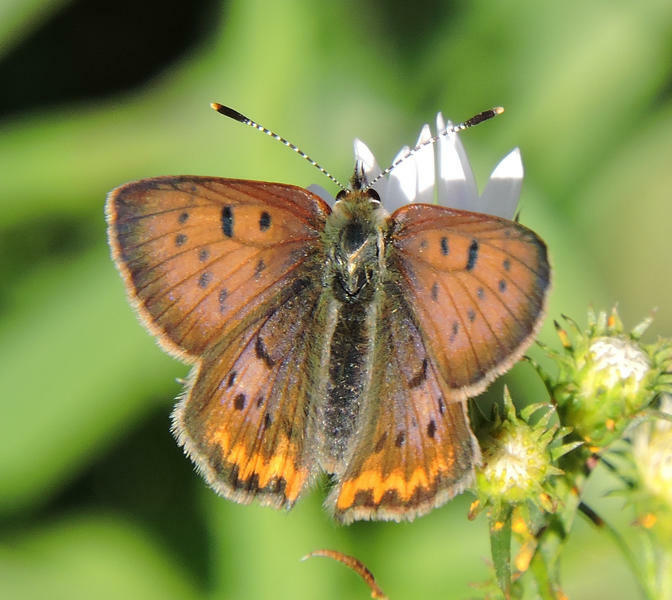 The male Purplish Copper has shown up. We last saw the female on Nov 1. 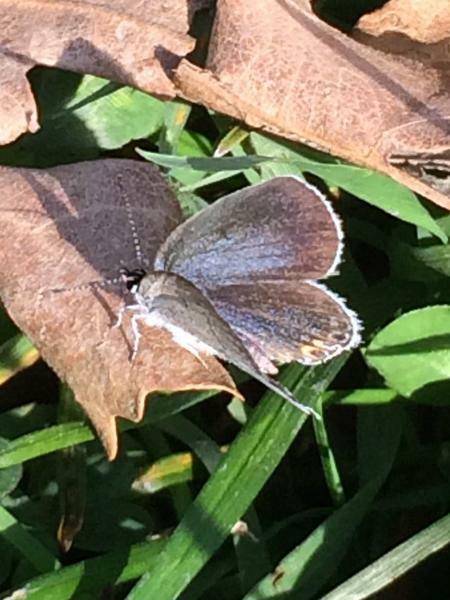 Observed butterflies about 11:30 AM in mowed grassy area of park. Did not observe any nectar sources nearby. 61F, 56% RH, ESE wind 3.5 mph. 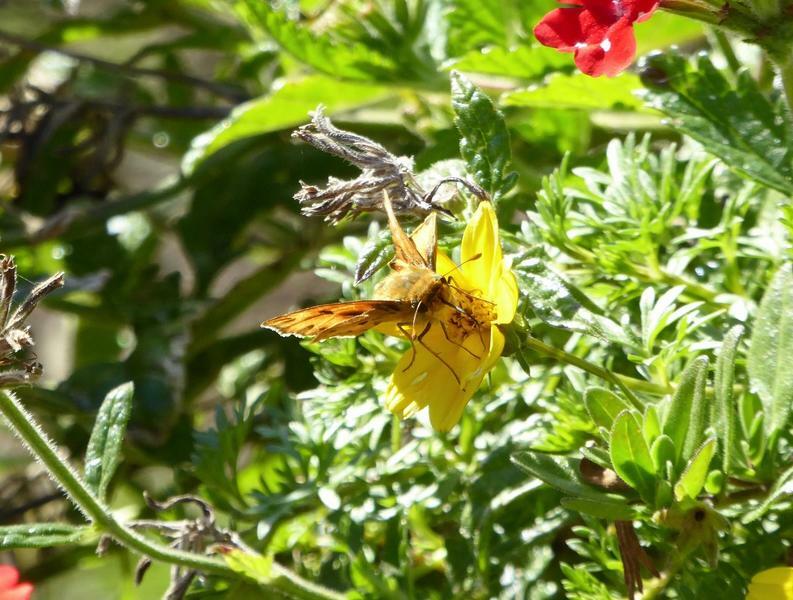 Not much is blooming anymore, so I don't expect to see any nectar loving butterflies. 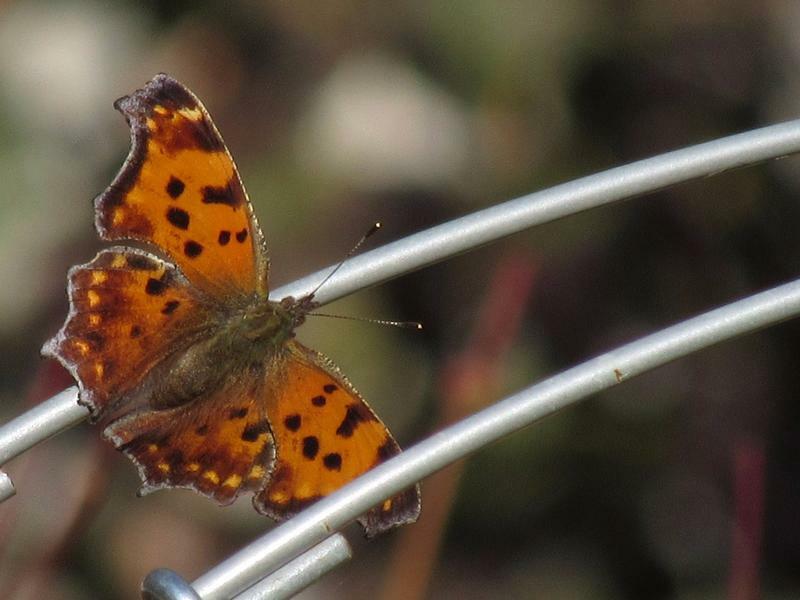 This Eastern comma was hanging around the apple trees today. My first Sachem from Marquette County and my first one in WI since 2014. 3:45 pm, sunny and 68 degrees. 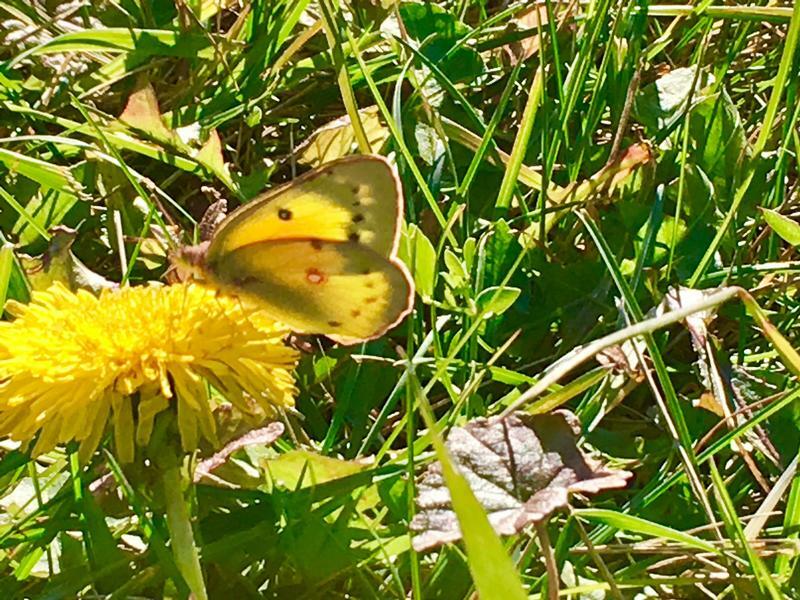 No other butterflies seen, and had two dandelions blooming. 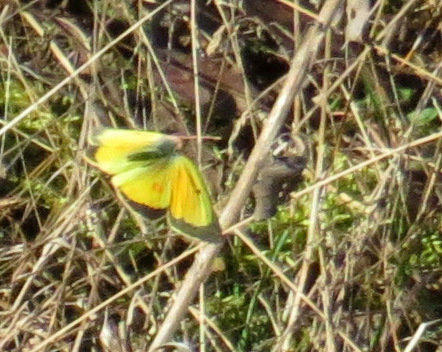 Finally got my photo of a Clouded Sulphur nectaring on wood sorrel. 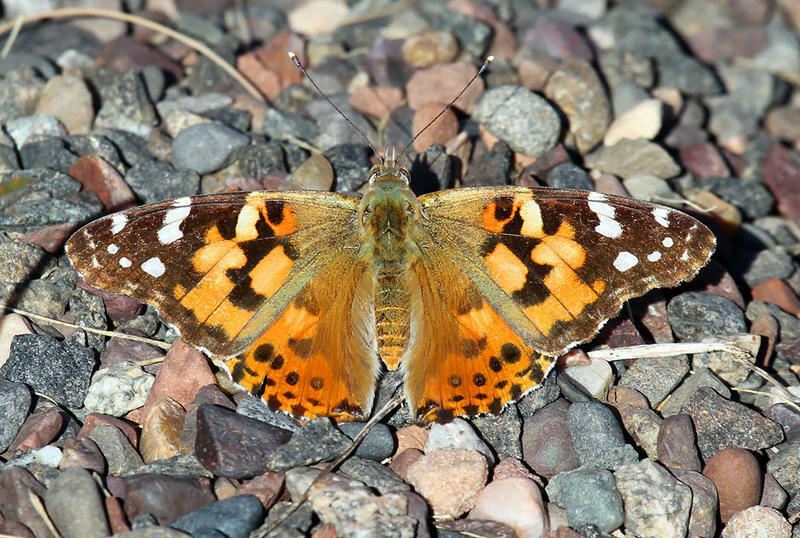 I was hoping to see some overwintering species today as I walked around the lake but I saw zero butterflies on the trail. 25+ Autumn Meadowhawks. 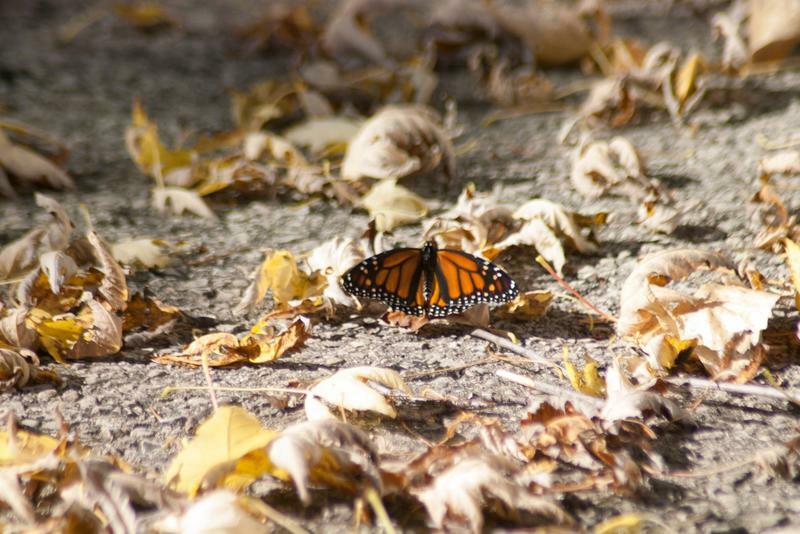 I have never seen a Monarch in November. 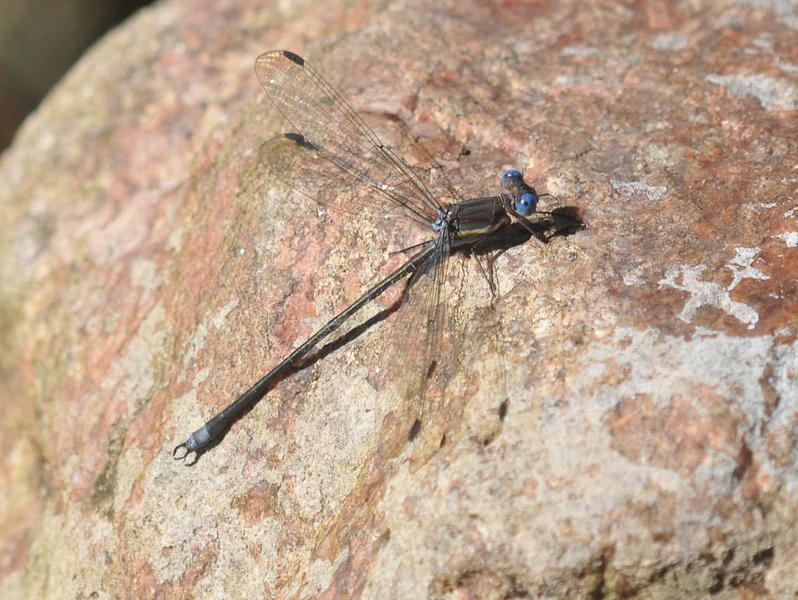 This newly emerged female was present a good deal of the afternoon. 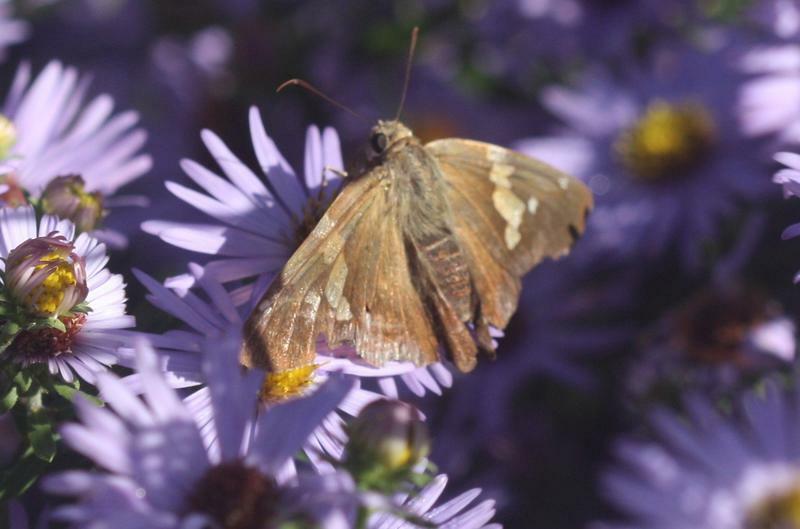 It's too bad the prairie gardens are past the point of maturity. She had a broken upper right wing and could not fly very well. I feel bad for her. 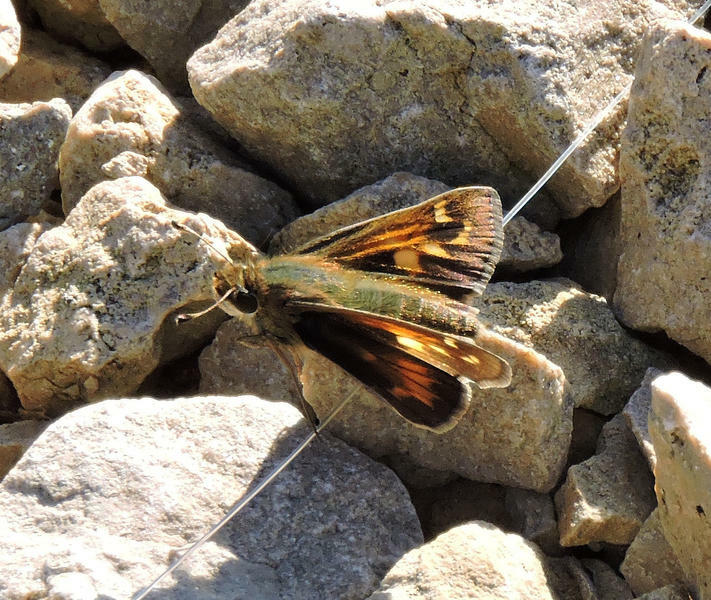 This butterfly was busy flying from place to place, no chance for a photo. 73 degrees this afternoon. 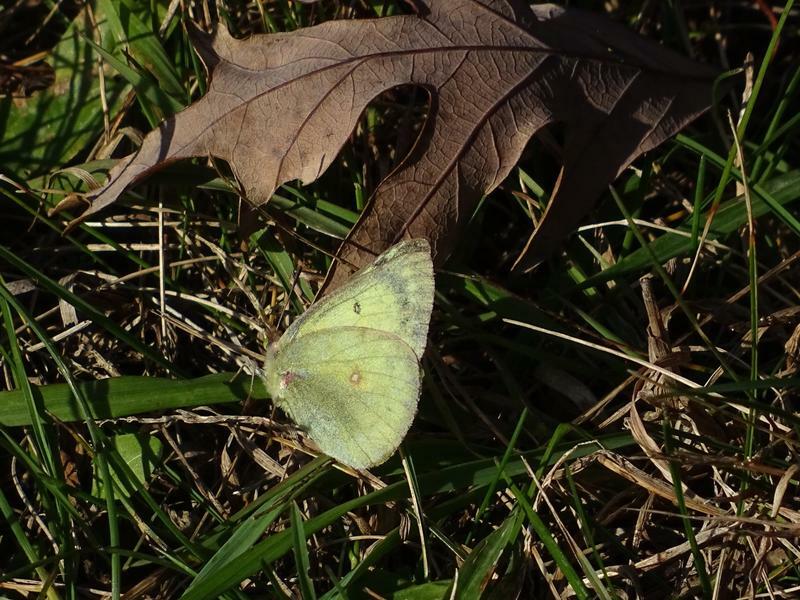 I was not expecting to see a November Buckeye, sulphurs are usually the only species still flying this time of year in my location. 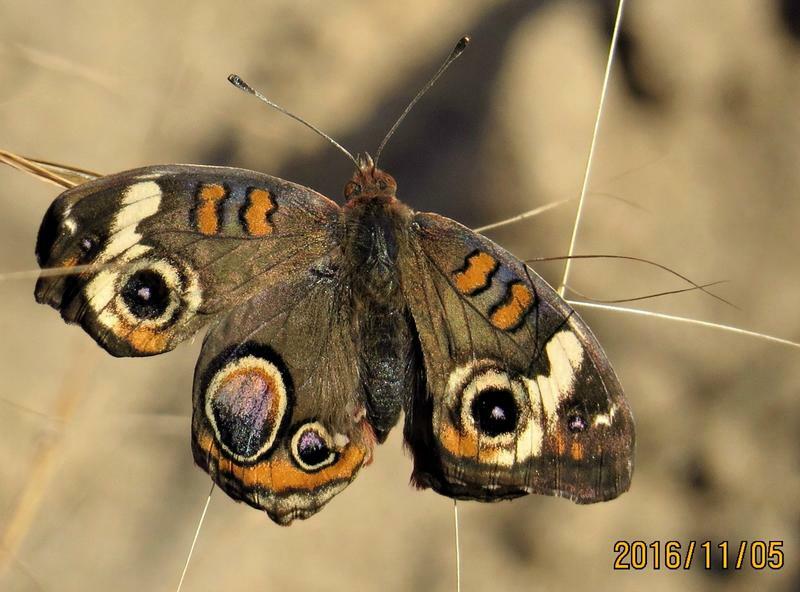 The Buckeye must have arrived between the frosts, it looked very fresh. Warm day, sunny, very light wind--high 60s. 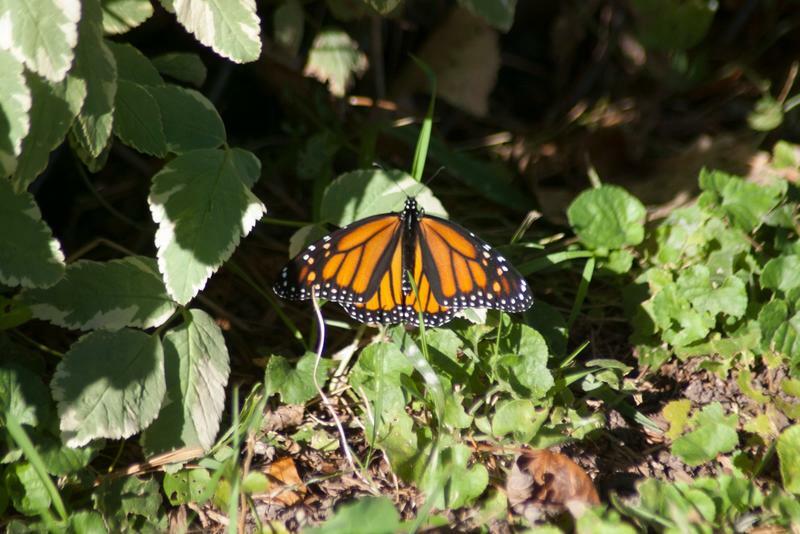 The Monarch seemed to be struggling to gain altitude and flying SW--maybe it was a new one. 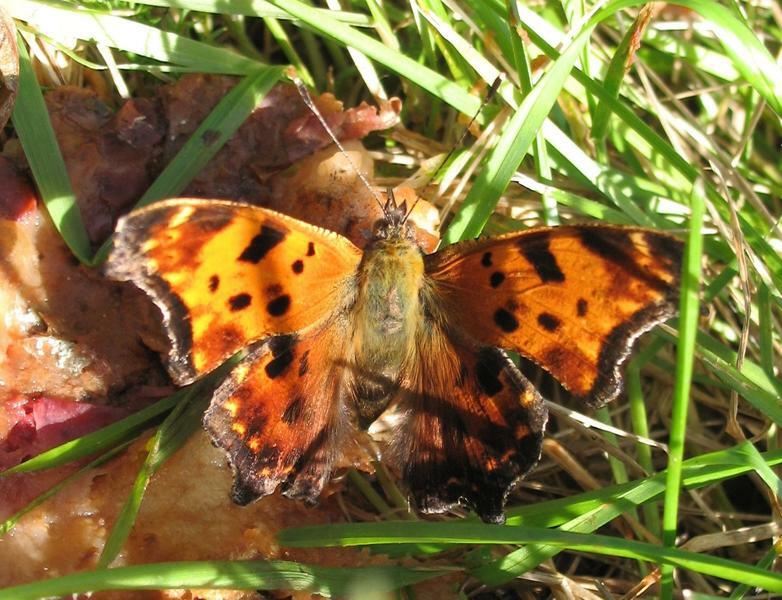 The two Eastern Commas were flitting along the edge between a prairie and a woodland. 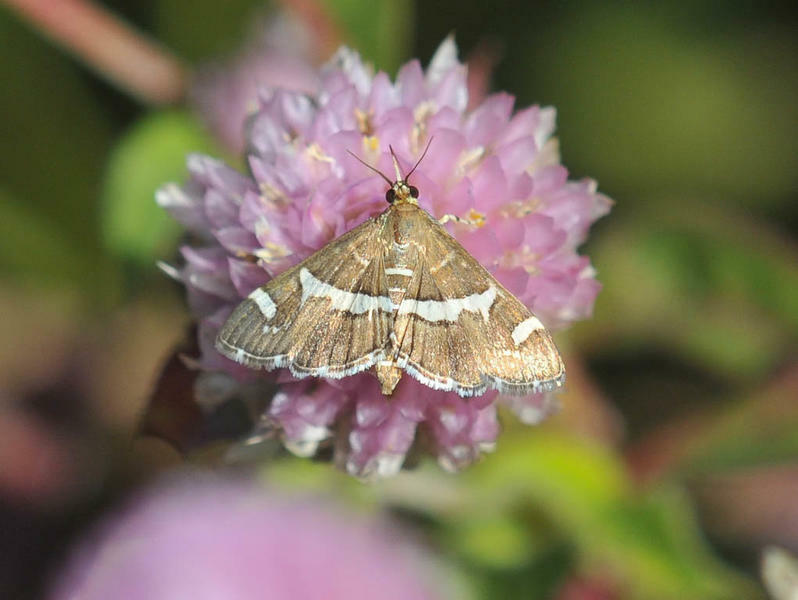 I have noticed more Beet Webworm Moths this year than in previous years. Doesn't get much more north in WI than this. Second latest date for state. 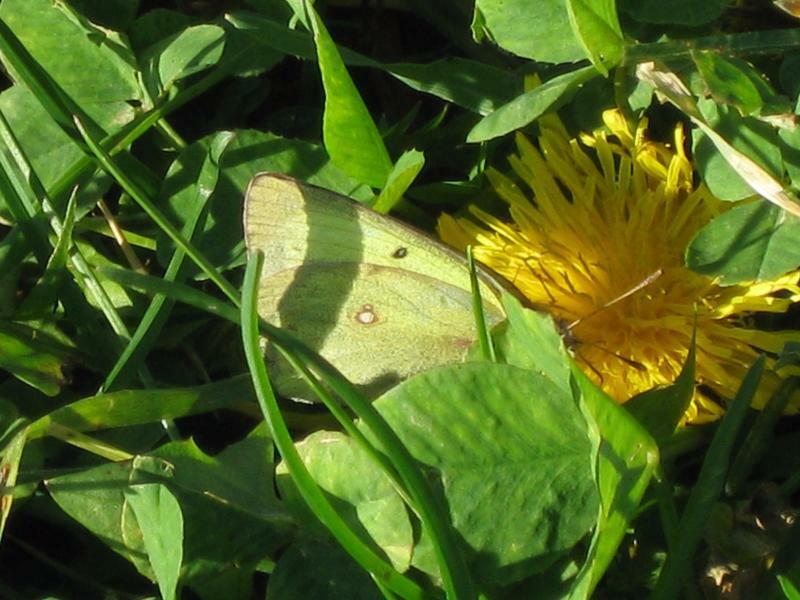 More dandelions in flower here than in most places I have seen, but few butterflies nectaring. Sunny and 60 degrees at 10:45. 66-69° Sunny. Male PC was still hanging around here. 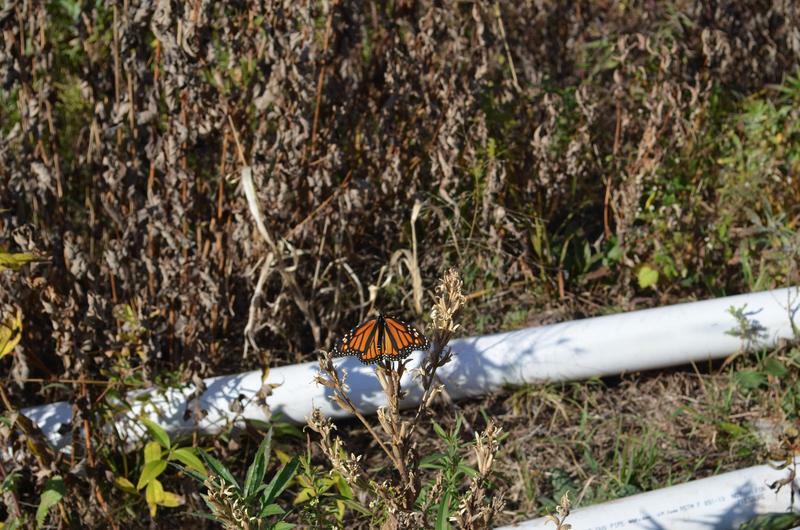 Monarch met me back at the truck when I swung in to check Summerton Bog. Found the Female Sachem to match Mikes Male from yesterday. Sunny, upper 60s, early afternoon. 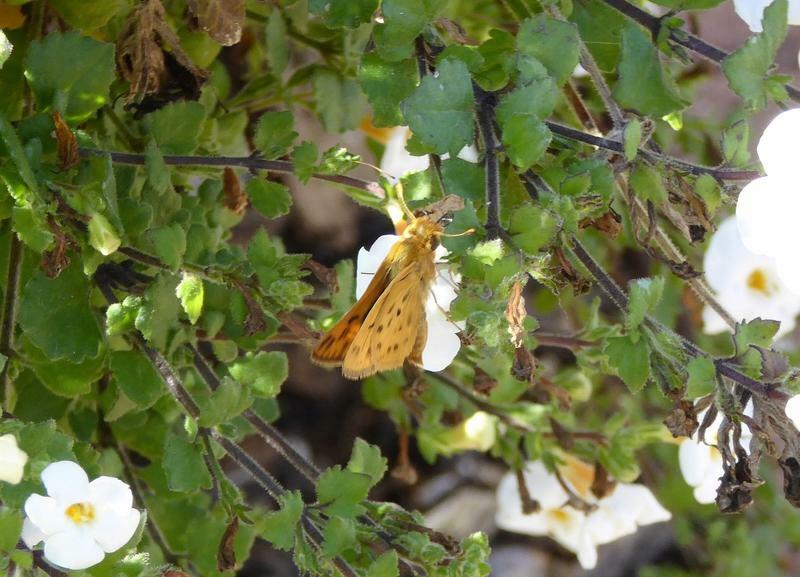 The fiery skipper and moth were spotted on some plants in containers that were still in full bloom. 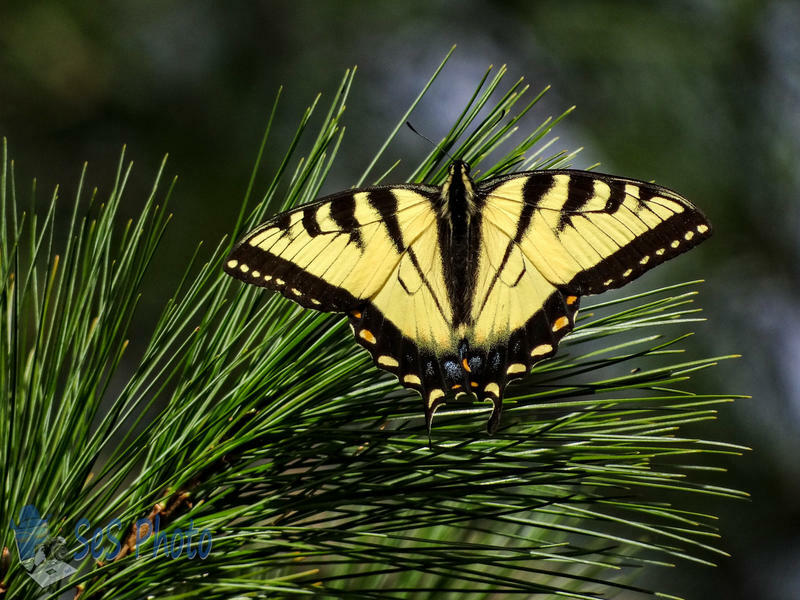 The monarch was flying by in a southerly direction. 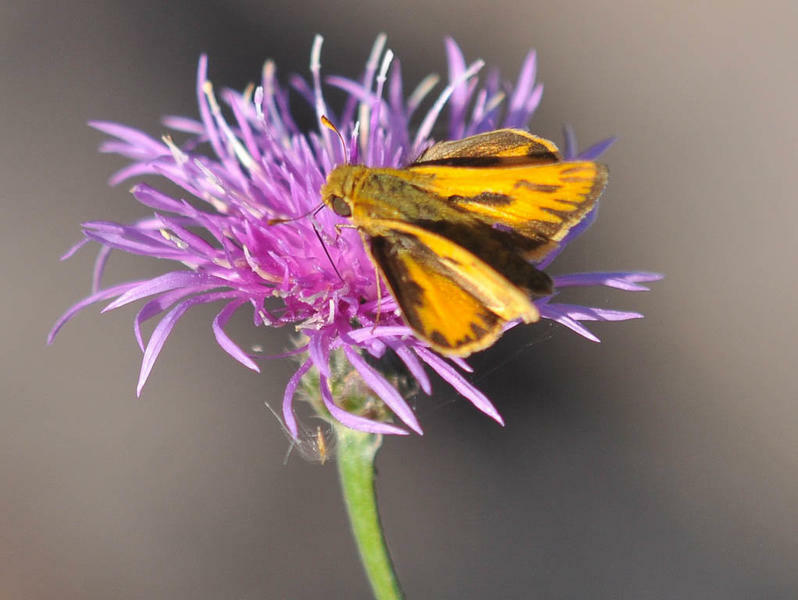 The skipper was nectaring on marigolds along with a common looper moth and large bumble bee. 63 degrees and sunny. 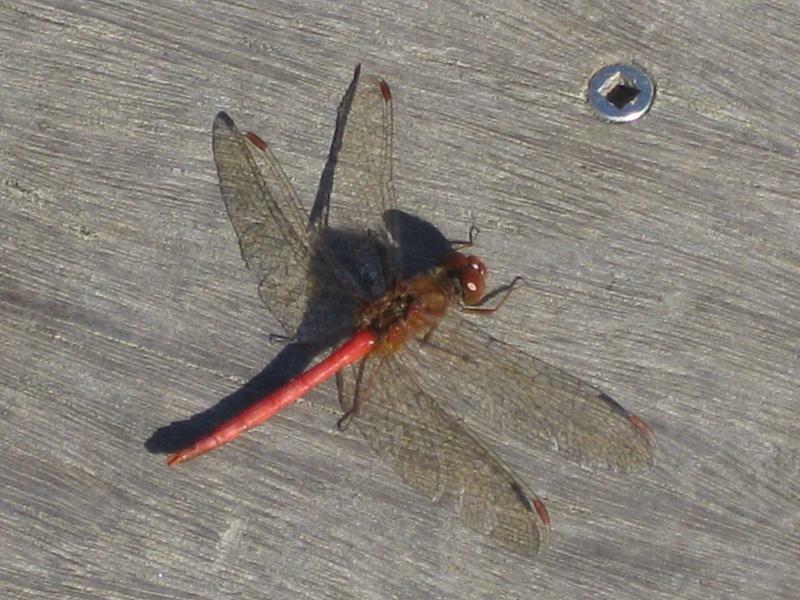 I also saw 20 Autumn Meadowhawks. 55 degrees. It flew in front of my car on the road into the boat landing. 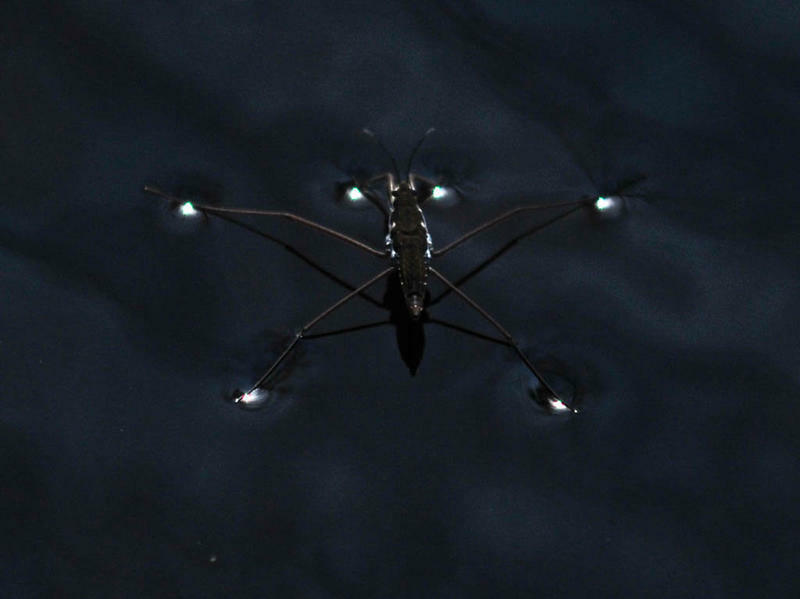 It landed in a swamp otherwise I would have gotten a "proof" picture. Sunny and 63 degrees. I also saw 12 Autumn Meadowhawks. Looked fairly fresh, was flying low to the ground. 53 degrees and sunny. I saw one as I drove into the parking lot, but it was the only one I saw. Still plenty of dandelions in flower. 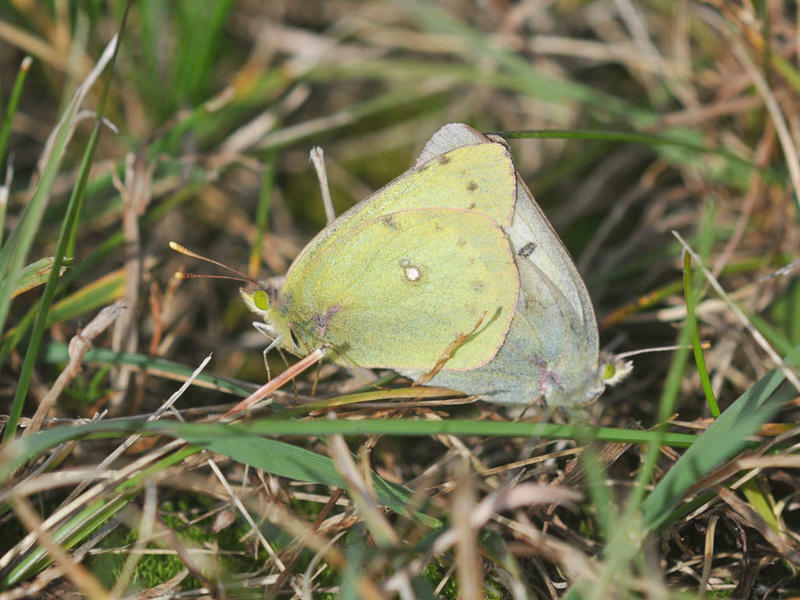 About 50 F. Surprised to see so many Clouded Sulphurs. 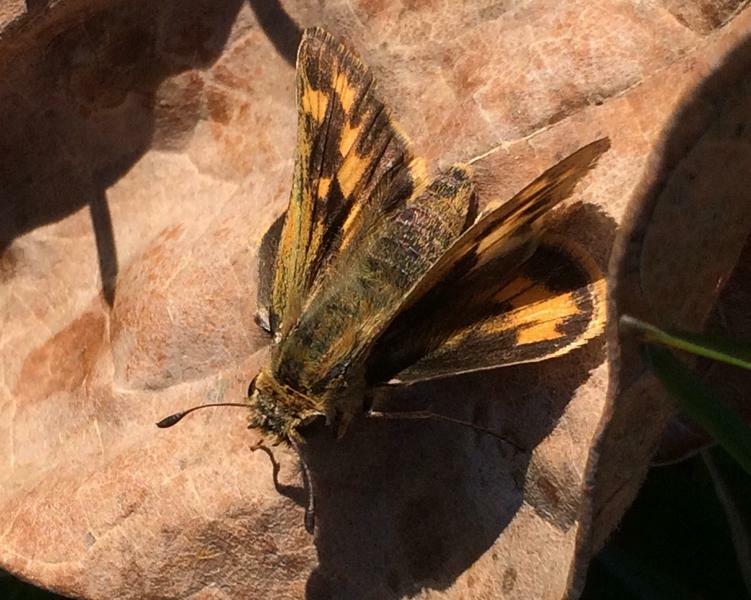 They were nectaring on dandelions and perching in the grass in sunny locations. Warmer than yesterday (about 60F), but thin clouds reduced warming effect of the sun. 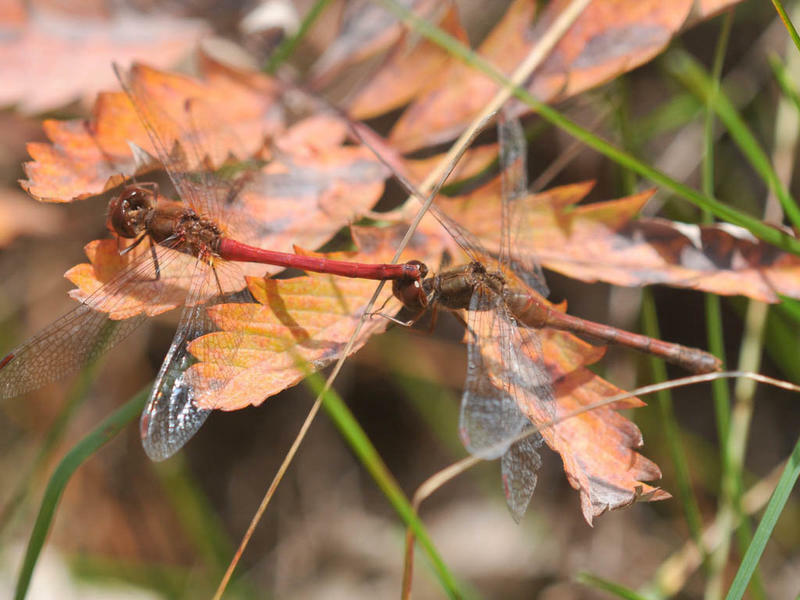 A couple Autumn Meadowhawks seen as well. 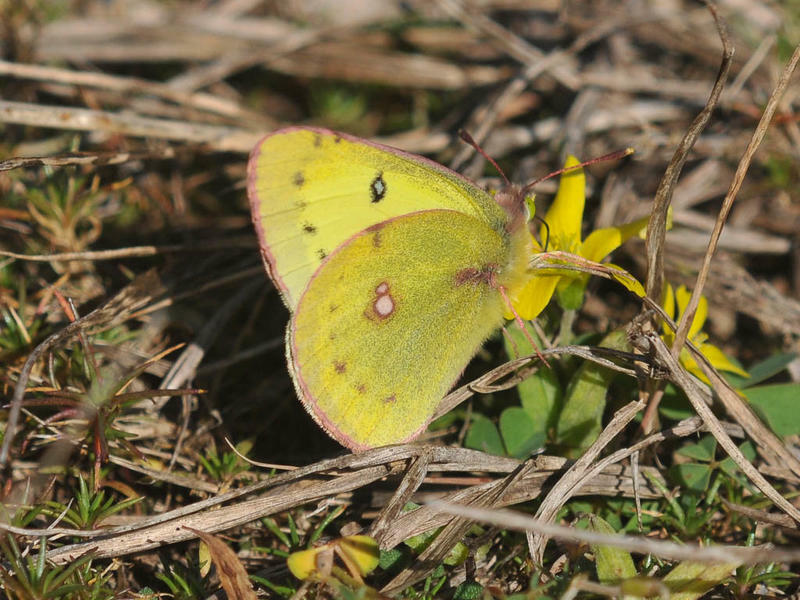 I got a better look at what turned out to be an Orange Sulphur. I saw it yesterday, but wasn't sure and didn't report it. 10:52 - 12:02, 1.3 miles, 62 - 66 F, S wind 15 - 13 mph with 20 mph gusts, 58 - 52 % RH. 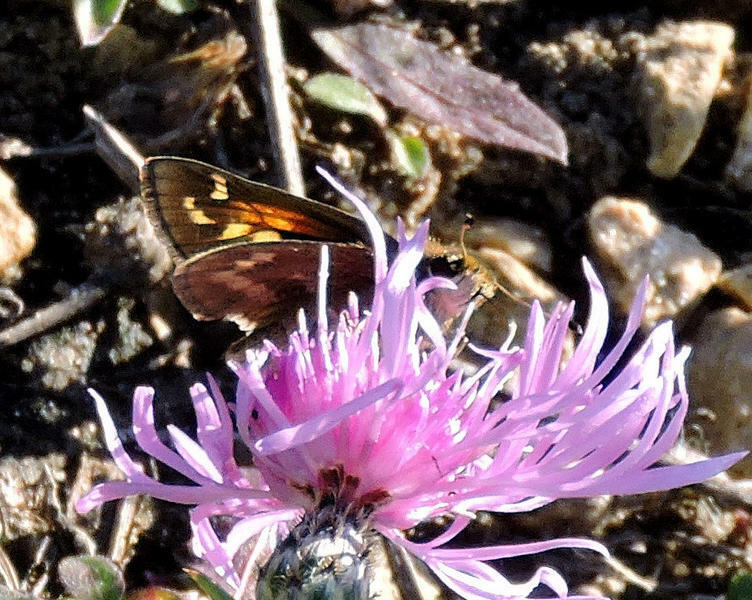 Orange sulfur nectaring on dandelion. 68 degrees and mostly sunny. I also saw nine Autumn Meadowhawks. 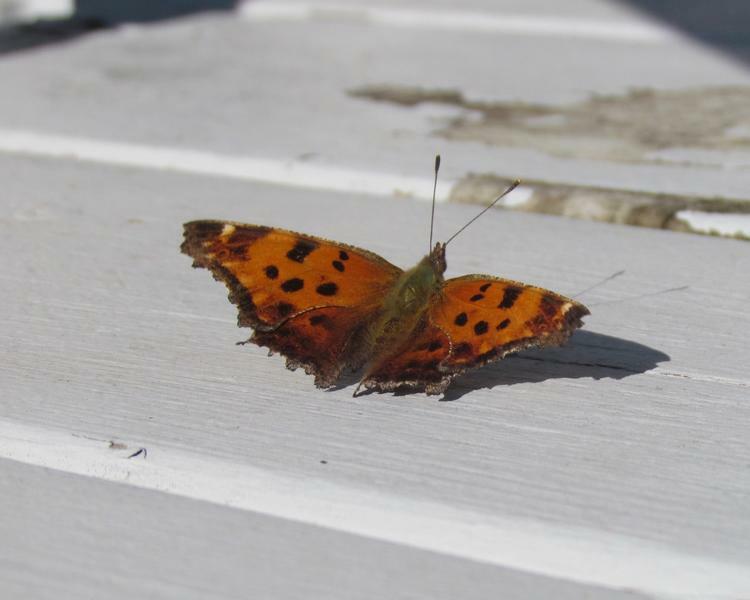 My 1st ever sighting of an Eastern Comma. A cute little bugger. 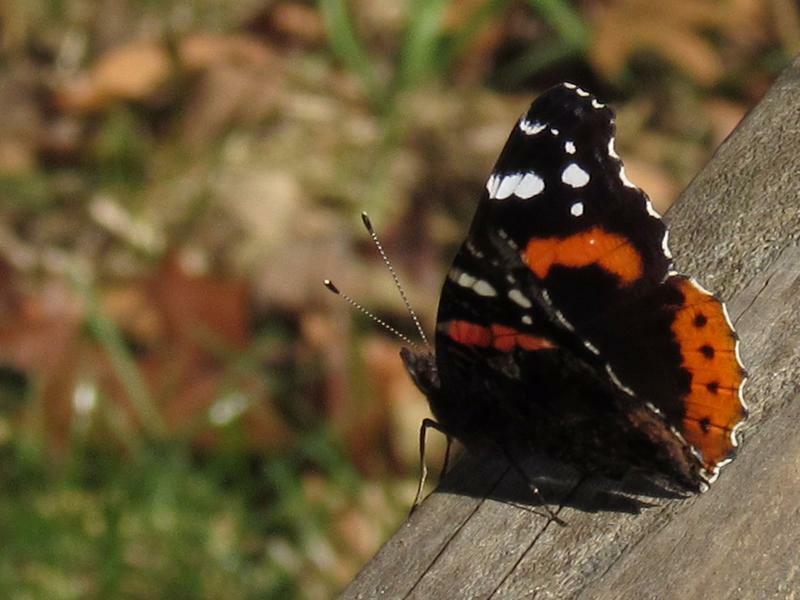 Seen flying and resting/warming in sun multiple times while having left-over turkey at deer camp. 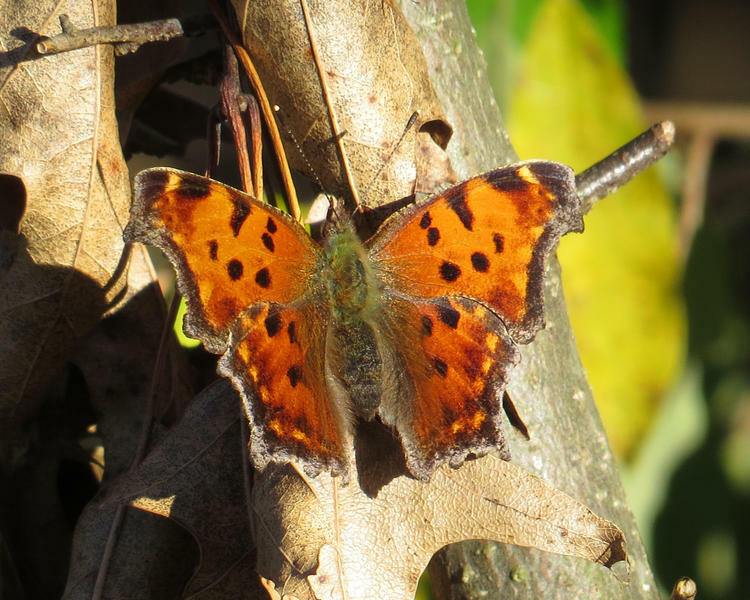 A warm November day brings out lots of us, including an Eastern comma that circled around me several times at about 11 a.m. Very healthy looking with no raggedy edges. Bright color. Couldn't get my camera out before it was off into the woods.